Users who registered prior to 2016, or even some small minority to this day, may have a ‘Gen1’ account and license(s). These Gen1 licenses will always work, so there’s no cause for concern. However, many of you may wish to migrate to our new ‘Gen2’ systems. I promised such a while back, and now I am delivering. Register your account. If it says you already have an account, then instead use the Password Reset. Be sure to use the same email address you used in your Gen1 account. Validate your email address. NOTE: If you can not validate your email, then be sure you have set the email field in your profile (even if it is also your username). 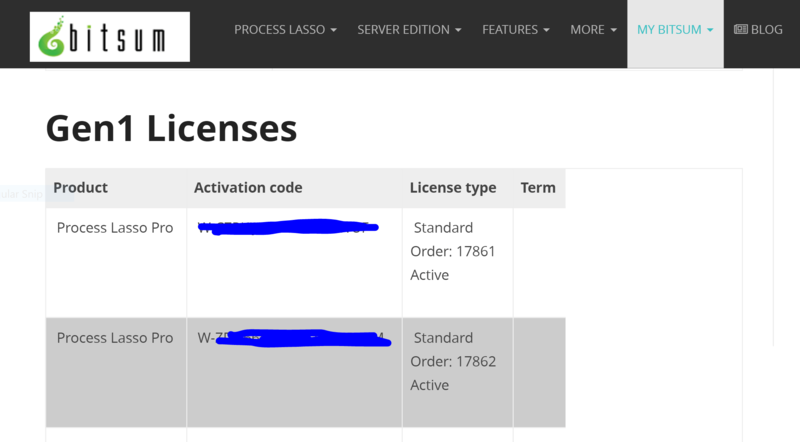 View your licenses on the My Licenses page and bask in the joy! These will be your same Gen1 licenses, but as stated, these are as good as, or better, than the new licenses. Will I get a Gen2 style license to replace my Gen1 license? No, that is unnecessary. Since *both* licenses will always work fine, one is as good as the other. To try to replace everyone’s Gen1 licenses would be a distraction from our core duties of product development. Besides that, Gen1 licenses actually have some advantages over Gen2 licenses, including that they support all older versions. Why am I not receiving my validation email? Please check your user profile and make sure the ’email’ field is populated. Due to the way an alternate pathway to registration works, some users may end up with their username as their email (which is fine), but the actual email field is left blank. This causes a failure to validate the email. It is a condition we are working to auto-resolve, but to fix it yourself you should simply set your profile’s email field. If your email field is set, then be sure to check your spam folder. Also, if you ever clicked the ‘spam’ button on any of our email, then you may have to Contact Us. No, licenses are not transferable. Can I use my Entire Home license at multiple homes, or give a license to a friend? No, the purpose of this license is to let you license all your PCs in the same home. For laptops, this means the ‘home base’. Basically, a single location per Entire Home license. If we allowed people to use these licenses outside their home, it would open a Pandora’s box of licensing complexity. If you have any troubles or questions, please contact us and we’ll be happy to help.